On Tuesday morning, Henri van Breda’s legal team argued his application for leave to appeal against in the Western Cape High Court. Henri was found guilty of axing both his parents and older brother to death, and for the attempted murder of his younger sister Marli ,during the early hours of January 27, 2015 at the Van Breda family home in Stellenbosch’s luxury De Zalze Estate. Three pre-meditated murder convictions, the attempted murder conviction and the obstruction of justice conviction, as well as the 3 life sentences, 15 year sentence and 5 year sentence, imposed by the trial court, is what his team are appealing. The process requires the party appealing a decision to bring an application setting out grounds on which they wish to appeal. It is not the actual appeal, but rather a summary where that party asks for permission to appeal the matter to a full bench in the High Court or to the Supreme Court of Appeal. Advocate Pieter Botha, on behalf of Henri, argued that the trial court, with it’s presiding officer Judge Siraj Desai and his assessor, Advocate de Lange, had erred and misdirected itself in finding that the circumstantial evidence presented by the State proved Henri’s guilt beyond a reasonable doubt. Essentially, Botha argued that the court erred in finding that the proved facts were only consistent with the finding that Henri attacked his family and that they excluded, as a reasonable inference, that Henri was not the attacker. It was clear that Desai had carefully considered the papers submitted by Botha and was well prepared and ready to debate the issues with counsel, which certainly kept Botha on his toes. Desai immediately sought clarity on whether the defence was relying on an irregularity (an irregularity deals with the fairness of the trial). Botha said that he was not relying on unfairness, this is quite important as it distills the issues to being around a question of fact or law, which an appeal court will not easily interfere with. Desai’s summary of the defence’s reasons for appeal was useful, he said the issues raised by the defence are that the trial court had erred in finding that Henri’s guilt had been proved beyond a reasonable doubt. That another court may find the evidence presented, particularly being circumstantial, was not enough to discharge the onus. This is exactly the crux of the defence’s appeal, the issue of the onus having been discharged. The law provides that Desai is required to grant leave to appeal if there is a reasonable prospect of that appeal being successful. Botha argued that in a matter such as this, where there was only circumstantial evidence, it is possible for another court to reach another finding on the various pieces of evidence which could over turn the convictions. 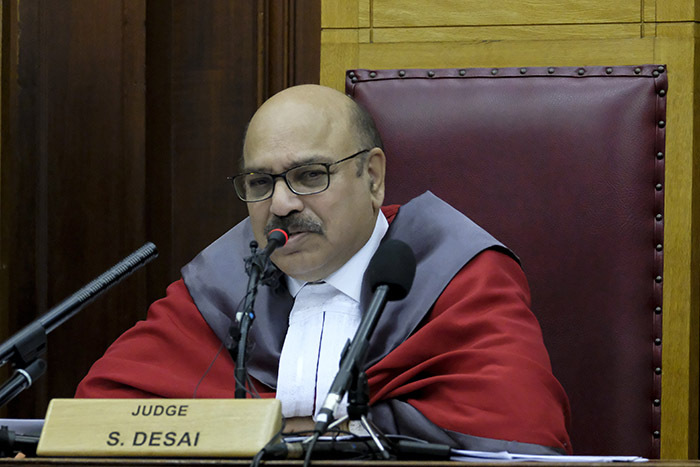 Desai did not seem convinced of this argument and pointed out several times that he accepted, when parts of the evidence are considered in isolation, there certainly may be another finding to make on a particular piece of evidence – but when one considers it holistically, particularly, the fundamental pillars of the State’s case, the case is “unassailable” (certainly not words counsel wants to hear when arguing their application for leave). The judge noted the self-inflicted wounds as critical evidence in the State’s case which he felt Botha had not dealt with in this application. Botha quickly submitted that this evidence cannot convict the accused in isolation but more importantly, that the evidence of the State’s witnesses was that not all of Henri’s wounds were consistent with self inflicted wounds. I have said, from the outset of this trial, that this is the defence’s weakest point and I do think that this is where the appeal, if leave is granted, is likely to fail. A glaring difficulty that Botha has in this trial, is the evidence the state presented on Henri’s wounds. The state experts were excellent witnesses and this evidence drives the remainder of the pieces to the mosaic, which Desai continued to refer to. 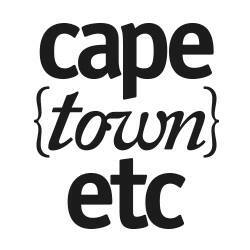 Botha argued well on his feet today and it interesting to see the back and forth between the bench and counsel. Advocate Susan Galloway did not need to do much in response, which is rather telling itself. I personally don’t see Desai granting leave unless he accepts Botha’s submissions on the need for the SCA to deal with the issues on the DNA evidence which arose in this matter. Although that is a point which may get the defence into the SCA via petition, I don’t think it is enough to convince Desai to grant leave. Desai will give his judgment in this application on Friday 18 August at 10am.